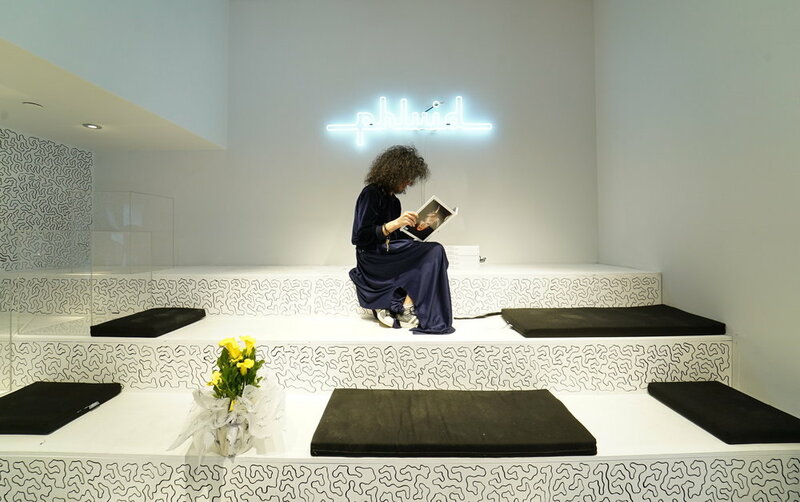 The Phluid Project is a safe space and community center located in NYC. Designed with intention, The Phluid Project is part commerce, part community and completely gender-free. Natural, raw, and playful - the design of The Phluid Project allows for flexibility and fluidity in merchandising and storytelling. A deliberate mix of simple materials and textures meant to evoke a casual, comfortable environment that lets the customer’s experience open to imagination and thought.